What can you expect when pregnant with twins? That seems to be the question most often asked when a mom-to-be finds out she’s expecting two babies instead of one. While concerns about getting enough rest or planning for extra doctor’s appointments top the list, many pregnant people also wonder about complications such as premature birth, which can be related to a multiples pregnancy. 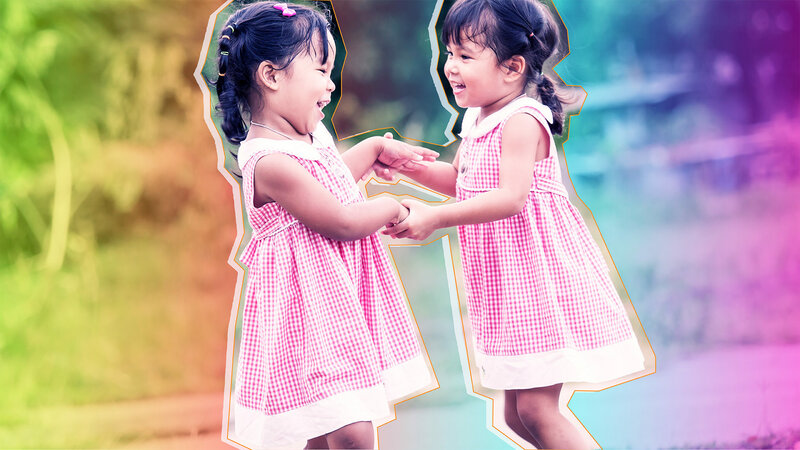 But for women pregnant with identical twins, the concerns can be more serious — especially when faced with twin-to-twin transfusion syndrome. Often referred to as a disease of the mother’s placenta, twin-to-twin transfusion is a rare but serious condition that can occur while pregnant with identical twins who share a placenta. The shared placenta contains abnormal blood vessels, which connect the umbilical cords and circulation of the twins. In TTTS, the blood flow between the twins becomes unbalanced: One twin donates blood to the other twin, which results in the donor twin having too little blood and the recipient twin having too much blood. What causes twin-to-twin transfusion syndrome? First off, the mother does not cause TTTS, nor is there anything you can do to prevent this condition. It is a random event that cannot be prevented. And as far as the prevalence of TTTS, it occurs in about 10 to 15 percent of monochorionic-diamniotic twin pregnancies (a pregnancy where the identical twins share the same placenta but have different amniotic sacs). 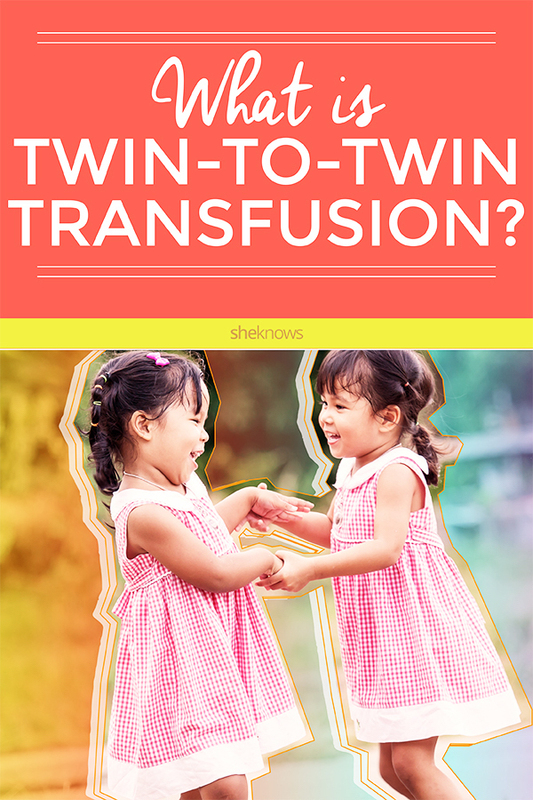 How is twin-to-twin transfusion syndrome diagnosed? The best tool for diagnosis of TTTS is an early ultrasound. Before diagnosis, though, the mom-to-be may experience rapid uterine growth, premature contractions and shortness of breath. If these symptoms occur, contact your physician immediately. Dr. Robert A. Welch, an OB-GYN at the Detroit Medical Center says that in general, twins are thought to be growing at the same rate if their estimated fetal weights by ultrasound are within 20 percent of each other (concordant growth). Welch says the obstetrician may recognize a problem like TTTS with monochorionic-diamniotic twin pregnancies when their growth becomes discordant, or the amount of fluid surrounding each fetus becomes uneven. “Since both fetuses are sharing the same placenta, one begins to dominate the circulation and actually pumps its blood more to the other twin. The ‘pump,’ or donor twin, becomes smaller with decreased amniotic fluid around it — known as a ‘stuck’ twin — while the recipient twin becomes much larger,” he explains. What does this mean for your pregnancy? The severity of TTTS is partially based on the stage of pregnancy at which the condition becomes evident (the earlier it presents, the more serious it is). In the past, a TTTS pregnancy usually claimed the lives of both babies. But now, with the use of technology and early ultrasounds, the odds of survival are much higher. As far as treatment, Welch says there has been varying success. Previously, obstetricians have used serial amniotic fluid drainage to try to rebalance the fluid around each twin with limited success. “More recently, though, several fetal therapy centers are using a fetoscopic laser to coagulate the blood vessel connections within the shared placenta,” he explains. This approach has proven successful in select cases. Welch also points out that if the twins share the same placenta, most obstetricians are now doing ultrasounds every two weeks after 16 weeks of pregnancy to evaluate growth and the risk of TTTS. He says that most twins with TTTS are delivered early after medications are administered to try to stimulate fetal lung development. If the TTTS is mild, both babies often recover fully. However, severe cases may result in the death of a twin. And while there can be health concerns due to being delivered prematurely or from the effects of TTTS inside the womb, if managed properly, TTTS can result in a positive outcome for most patients. More: My Male Partner Won’t Agree to a Sperm Analysis — Now What? The treatment plan the physician sets up for the babies after birth ultimately depends on the infant’s symptoms. For example, the donor twin may need a blood transfusion to treat anemia, while the recipient twin may need to have the volume of body fluid reduced. The recipient twin may also need to take medicine to prevent heart failure. And just like any other baby born prematurely, TTTS babies are susceptible to the various complications of an early delivery. When you find out you are pregnant with twins, your doctor will work with you to monitor the babies’ growth and ensure they are as healthy as possible.